I wandered into a local store (Earth Impact, on Main Street in Half Moon Bay, California) and saw this lovely photo album - so even though I wrote about photo albums recently, I got inspired to search out some more. 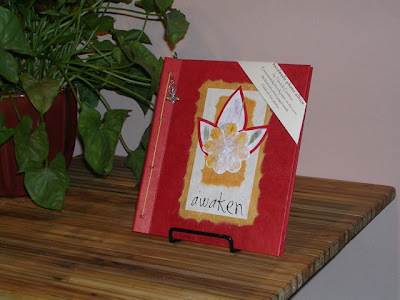 This handmade album comes from This Is It Creations, which uses lokta and mulberry papers for the covers. The albums are said to have archival storage pages. Over in the U.K., Natural Nkuku has photo albums on a clearance sale; there are four different styles. 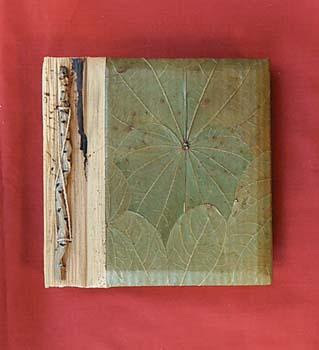 Here's the description of this album: "The cover of this photograph album is made from cotton which is hand dyed using natural vegetable colours. Each elephant is then embroidered onto the fabric. The utmost attention is paid to every detail and each Ele has its own individual character. The paper inside each photograph album is handmade from recycled pieces of cotton, creating a smooth luxurious texture that is perfect for holding photographs. Each album contains thin separation sheets made from banana skin." Staying in the U.K., All Things Green has a selection of photo albums; this one is my favorite. It's "handmade in Bali, using recycled paper & lily leaves, include strings to hold the photos." Update on April 12, 2014: I'm no longer finding this album, but you might like this one, this one, or this one instead. 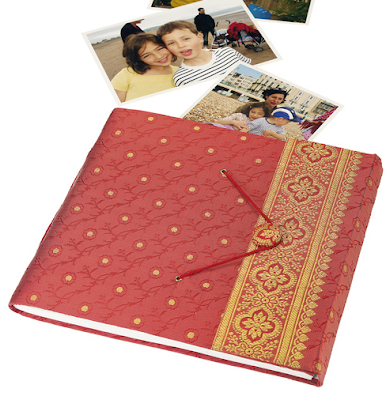 And here's yet another U.K. option - a recycled silk sari photo album! 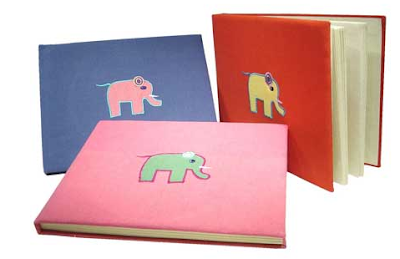 The pages are "thick, handmade Indian Khadda paper (made from 100% recycled cotton)."